Many a tech blog headline and bold entrepreneur have announced that [insert app name here] will kill email. But like a wicked witch trying to kill a fairy tale princess, these new apps all fall short: Email is here to stay. 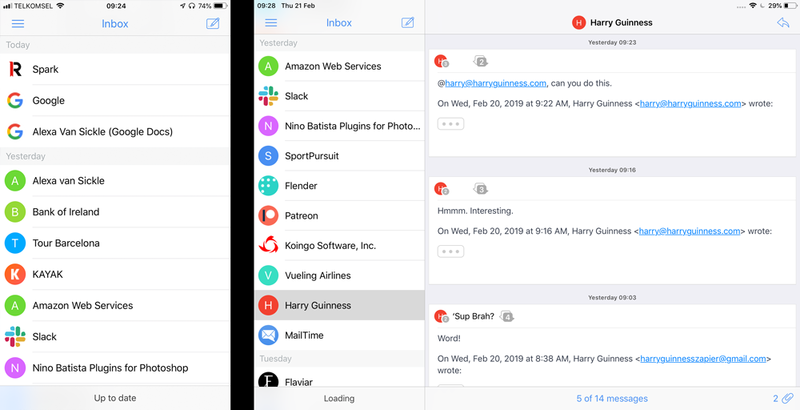 You may be happy with a web app like Gmail when you're at your computer, but when you're emailing from your iPhone or iPad, you'll want a dedicated app for the job. We've tested the most popular iOS email apps, and here we'll present the best in breed. What Makes a Great iPhone and iPad Email App? For starters, we're only looking at fully featured email clients, not apps designed to help you quickly sort mail or get to inbox zero. An email client is—like the Mail app already installed on your iPhone—an app that you can use to access your email account, regardless of what service you actually use. With one or two exceptions, we only considered apps that supported all the major email providers, such as Gmail, Yahoo Mail, iCloud Mail, and IMAP and POP accounts. We also focused on standalone email apps for iPhone and iPad, rather than apps that are really just add-ons for a web or desktop app. We wanted email apps that could be the only way you accessed your email if you wanted. An Apple Watch companion app, however, was a bonus. While pure spam isn't the problem it once was, lots of people are still bombarded with email from newsletters, online stores, and other technically-not-spam-but-still-annoying sources. 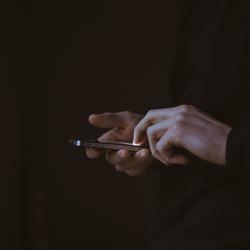 With this in mind, we looked for apps that took this into consideration and had some way of addressing it, whether it be a dedicated inbox for important emails, a way to quickly unsubscribe from newsletters, or fine-grained notification controls. Since we're focusing on the iPhone and iPad, which you're likely using for personal use rather than intense work, we rejected any primarily team-focused or collaborative email apps like Front. 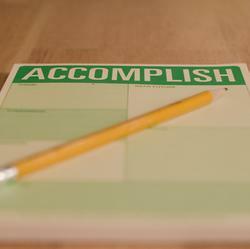 While these are useful for organizations, they're needlessly complicated for day-to-day emailing. They also tend to charge a monthly fee, and while there are paid apps on this list, we generally avoided apps that required an ongoing subscription. 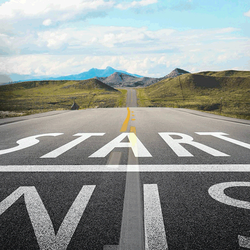 Even with all these criteria, there are a huge number of options to consider. So we dug in deep, put them to the test, and determined which ones were more than just marketing hype. Apple's Mail app has had a bit of a bad reputation over the years—that's why there's such a healthy ecosystem of alternative apps—but that criticism is now largely unwarranted. Yes, it's the most basic app on this list, but that's an advantage: It's a simple and easy-to-use email client. It handles your email—whether you use iCloud, AOL, Gmail, Outlook, Exchange, or any other POP or IMAP compatible service—without any fuss. When you open the app, you'll see your email inbox with all your emails in reverse chronological order. To only see the unread emails, tap the handy filter icon in the bottom left corner. It's nothing fancy, but it works great. The only area where Mail steps beyond just sending and receiving emails is with a VIP Inbox and thread notifications. If you're overwhelmed by the number of emails you receive, it's tempting to turn off all notifications. Unfortunately, that means you might miss something important. Contacts added to the VIP list have their own dedicated inbox that always pushes notifications. Similarly, you can enable notifications for responses to individual email threads if, for example, you're waiting for a reply from customer support and want to know as soon as you get it. If you don't need an app that does much more than send and receive emails, then Apple Mail is one of the best. Mail by Apple Price: Free. 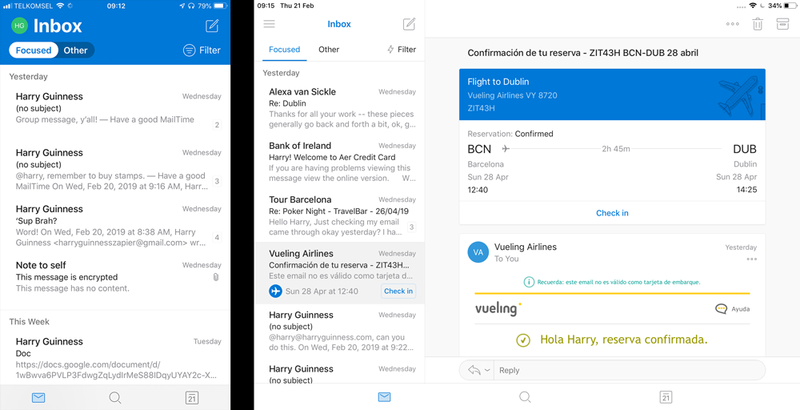 Microsoft's Outlook email app—surprising almost everyone—hits the best balance between usability and feature power. It supports all the major email services except POP3 accounts, so you don't have to use an Outlook or Hotmail account to make use of it. The Outlook mobile app is a far cry from the desktop app. This isn't a bloated, enterprise product. It's a well designed, highly functional personal email app that adds in some basic file management (with OneDrive, Google Drive, Dropbox, and Box) and a calendar, so you can handle all the extras around email, like attaching files and scheduling events, in one place. Outlook automatically splits your inbox into a Focused Inbox, for what it considers important mail, and an Other Inbox for everything else. That, combined with powerful search and the Contacts section that groups together all the emails a specific person has sent you, make it easy for you to keep a handle on important messages. The left and right swipe gestures are customizable: You can set them up to archive, delete, reply, move, or schedule (Outlook's take on snooze) emails. The iPad app makes great use of the larger screen, displaying long emails cleanly and offering a clean week view for the calendar. There's even an Apple Watch app so you can check your email on the go. The Gmail iOS app brings the familiar Gmail web app experience to your iPhone or iPad. Whether this is a good thing or a bad thing depends on how you feel about Gmail. While Gmail for iOS does support iCloud, Outlook, Yahoo, and IMAP, it's at its best when used with your Gmail account. 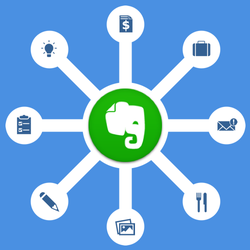 The iOS app nicely integrates with Google's other services like Google Drive, Google Docs, and Google Sheets. For example, you can preview any file shared through Google Drive or one of Google's apps. A single tap then either saves it to your own Google Drive, which you can access through the Attach option when you're writing a new email, or opens it in the Google Docs or Sheets app, so you can edit or update it. You can also respond to Google Calendar invites straight from the email, just by tapping on the Yes, No, or Maybe. With Zapier's Gmail integrations, you can even connect Gmail with 1,000+ other apps too. Outside of these integrations, Gmail is still a competent email app. In terms of customization, you can choose the default view, which shows an icon for each sender and a preview of any attachments; or you can select Comfortable (which removes the previews) or Compact (which removes the icons as well, letting you see more emails at once). 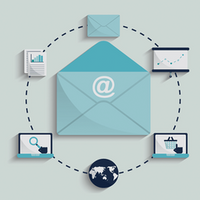 All your emails are sorted into three separate inboxes: Primary, Social, and Promotions. Search is, as you'd expect from Google, lightning fast. Emails can be snoozed, and if you accidentally send an email too soon—which is easy to do on a phone—you can tap Undo to rescind it. Airmail is one of the best macOS email clients because of its powerful customization features—and the iOS app brings the same great experience to your iPhone and iPad. While it works well as a standalone iOS app, it's really at its best when you're also using the Mac app, since you can sync all your preferences between both the Mac and iOS clients. 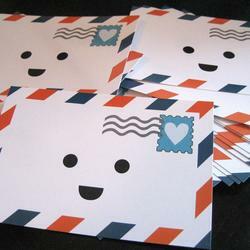 Airmail's customization options are some of the best available. You have total control over notifications and can set it up so you only get alerted about emails from important contacts. 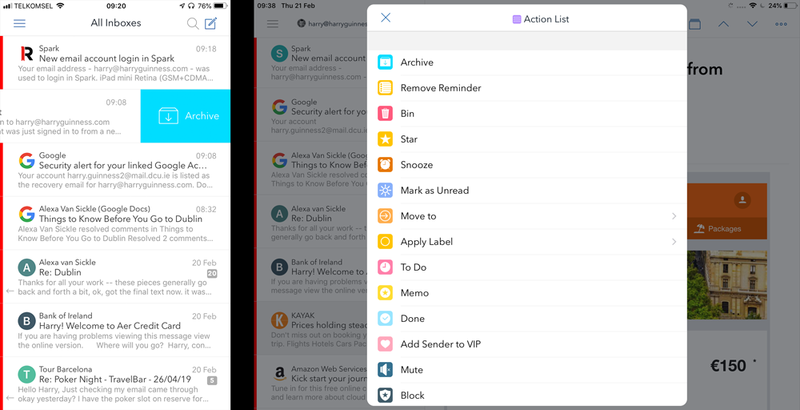 You can customize the swipe gestures in the Settings menu to archive emails, delete them, move them to a dedicated to do list, add a reminder, snooze them, and much more. Airmail also integrates with a lot of popular iOS productivity apps like Dropbox, OmniFocus, Bear Notes, and dozens more so you can quickly push emails and attachments to the apps you use to get stuff done. For example, you can set up a swipe gesture to send an email to your OmniFocus inbox if you prefer to use that as your to do system. Other perks: Airmail lets you create templates for standard replies, add read notifications to any email you send so you'll know when the recipient opens it, or schedule emails to send at a certain time. You can even create your own custom actions that can do pretty much anything you'd like to your emails. For example, you can set up an action to reply with a set response, send the email to your to do app, add the sender to your VIP list, and archive their email, all with a single tap or swipe. Spark's tagline is "love your email again," and the app goes out of its way to make email quick, pleasant, and easy. 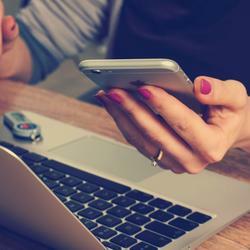 It's a great app for anyone who relies on email for most communication. Spark's Smart Inbox combines and categorizes all your emails from all your accounts. You can quickly scan your inbox for the stuff you need to deal with now, like emails from your close friends or boss, and skip what can wait until later, like newsletters announcing a two-week long sale. 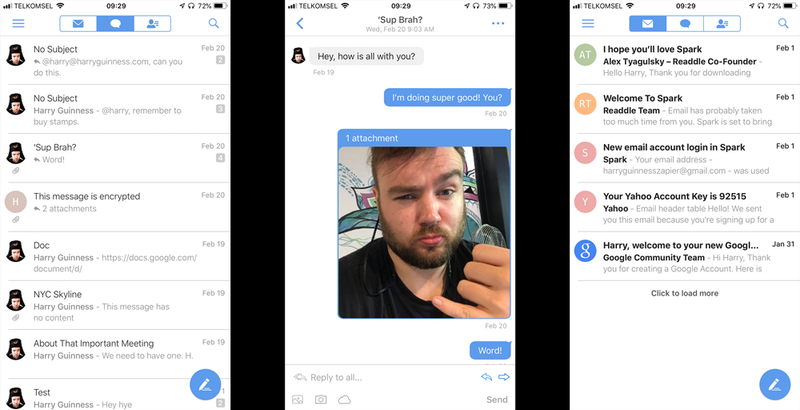 In keeping with the speed theme, Spark includes a quick reply feature, so you can send an emoji response in two taps, and templates to easily send longer stock responses. To keep on top of your inbox, you can pin important emails (with a short swipe to the left by default) so they're in your face until you deal with them, or you can snooze emails so they reappear when you need them (tap the clock icon when you're reading an email). The Recently Read filter, available from the widgets in the bottom right corner, also makes it easy to jump back to any email you were just looking at—great for when you want to reference back to something without digging through your archives. Like Airmail, Spark's swipes are fully customizable, and the app integrates with other popular services like Evernote, Trello, and Things. There's also a built-in calendar, undo send, read alerts, reminders, and lots more. 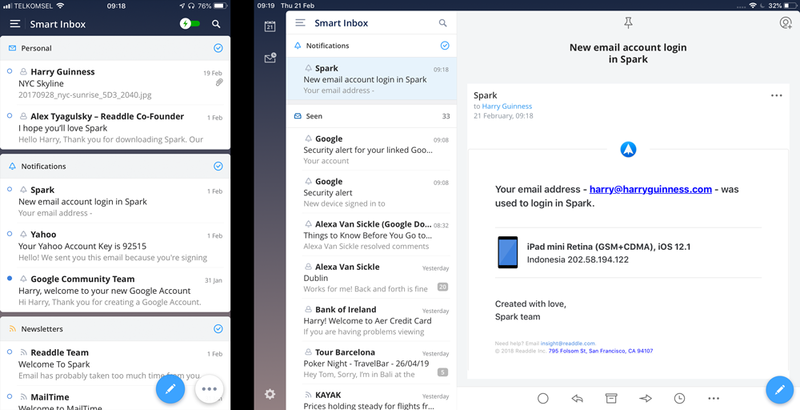 Spark includes team and collaborative email functionality, but unless you use it, it's just in the background and doesn't get in the way of the fast, fluid experience. The paid team options are what keep Spark free for most users. Spark Price: Free; $7.99/user/month for the Premium team plan. If encrypted emails are your jam, then Canary is for you. It's the best iOS email app for automatically encrypting your emails. In fact, it's the only major app that does this, and it uses your existing email service rather than requiring you to sign up for something new. Of course, whoever you're emailing will need an email service or client that can decrypt PGP; otherwise you'll have to send them an unencrypted email if you want them to be able to read it. 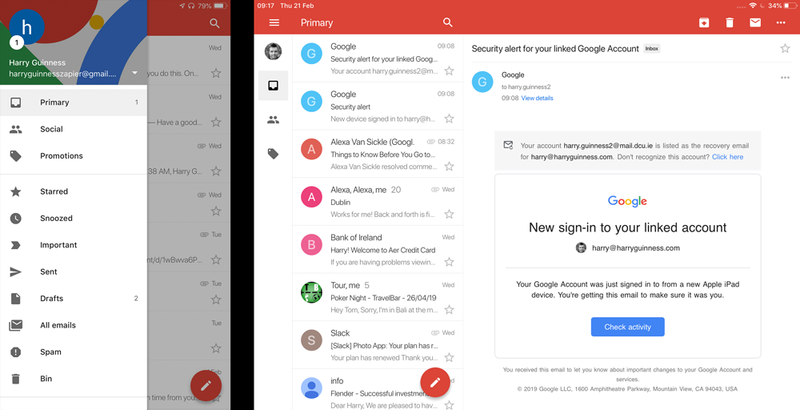 What's nice about Canary—versus a secure email service—is that it works on top of your existing email account. You can start using encrypted emails without having to set up a new email address: It works with all the major email providers and protocols except POP. 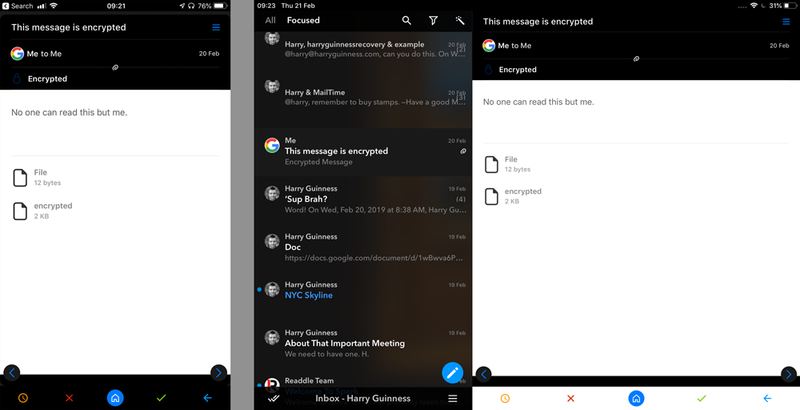 While Canary's encryption is its flagship feature, it's still an excellent email client for dealing with regular emails. It has an AI-driven Smart Inbox that automatically learns which emails you consider important. It also offers the fancy features you've come to expect: customizable swipes, integration with Dropbox and other productivity apps, snooze, templates, automatic read notifications, and even a one-click unsubscribe so you don't need to hunt for links in the footers of marketing emails. Unibox throws out the standard email inbox conventions. When you open the app, you'll see all emails automatically grouped by sender, and then arranged by date. As soon as you tap on a name, you'll see the most recent message and all your previous conversations with that person; you can even see all the files and photos they've sent you by tapping on the paperclip in the bottom right corner. If you think of email in terms of who you're communicating with, it's perfect. 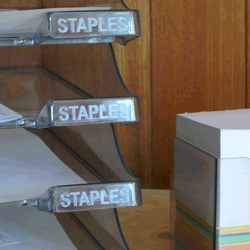 Aside from this novel take on email sorting, Unibox is relatively feature-light. You can customize what the swipe gestures do in the settings menu, but there's no snoozing, scheduling emails, or any of the features common in advanced email apps. You can't even use multiple accounts or custom signatures without paying for Unibox Pro ($4.99), and it doesn't support POP accounts. If you hate email and have no choice but to use it, try MailTime Email Messenger. 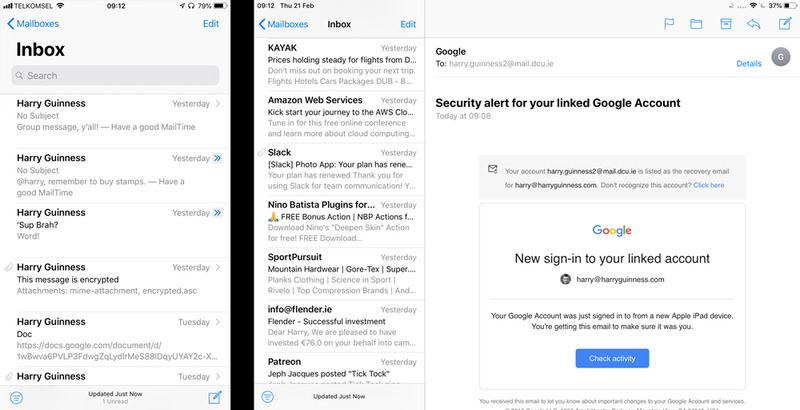 It turns your email threads into conversations that look and act like iMessages—down to the colors: Your senders'/recipients' messages appear as gray bubbles, and yours appear as blue bubbles. It even works with group emails. One quirk: if the emails run too long, you'll need to tap View Full Message to see the whole text. It's worth the extra tap to keep the chats scannable. MailTime doesn't try to force all emails to fit its blue-and-gray-bubbles chat look. Emails that aren't from real people, like newsletters and online shopping receipts, are kept in a separate inbox and displayed normally. It's only your email conversations that look like chats. The free version of MailTime supports up to two different email accounts (all the major ones are supported), but if you want to use MailTime with more accounts, you'll need to upgrade to Pro. MailTime Email Messenger Price: Free; $2.99 for MailTime Pro. 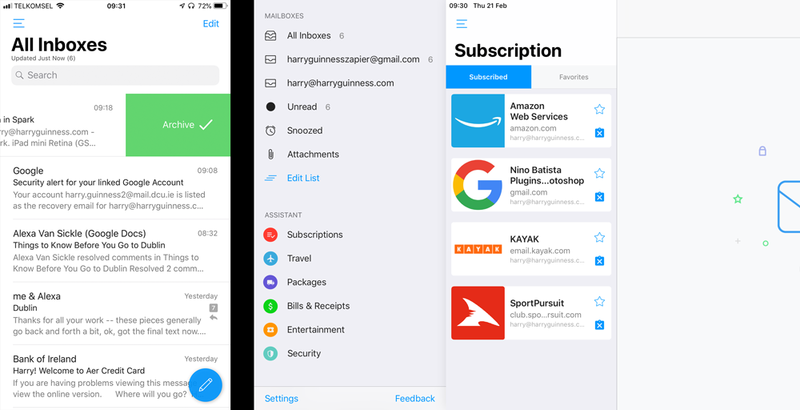 Edison takes intelligent email sorting to the next level: subscriptions, purchase receipts, and even travel details and package shipping details are automatically identified and sorted into the correct groups, which you access from the sidebar. You can then quickly glance at your favorite newsletters, unsubscribe from ones you no longer read with a single tap on the unsubscribe button, see upcoming trip details like boarding gates and departure times, and track your parcels, all without having to dig deep into your email archive. Edison will even use the information to send you smart notifications, letting you know when your flight's gate has changed or your package is out for delivery. In addition to the assistant, Edison is a full-on modern email client: It supports all the major email services and offers undo send, customizable swipe gestures, snooze, and smart replies for when a short response is all that's needed. And my new favorite way to mark an email as read? Just swipe the little blue unread dot, and it vanishes. The iOS email app universe is saturated with options—some excellent, some…not. 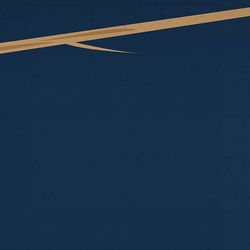 But with all the choices, one is bound to fit how you use—or aspire to use—email. If you're not sure which one's right for you, try more than one. They're all free or cheap, and it can be fun to experiment with a few different styles for managing email on your phone or tablet. Harry Guinness is a writer and photographer from Dublin, Ireland. His writing has appeared in the New York Times, Lifehacker, the Irish Examiner, and How-To Geek. His photos have been published on hundreds of sites—mostly without his permission.